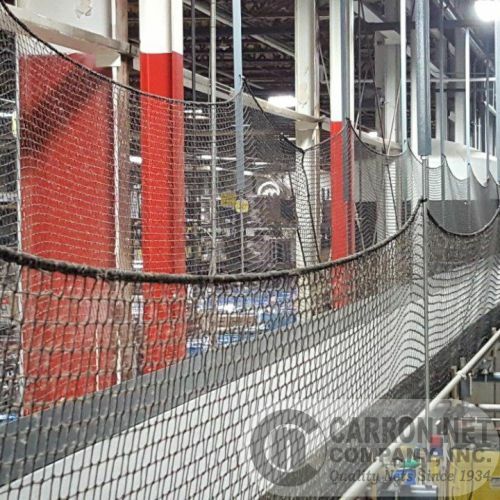 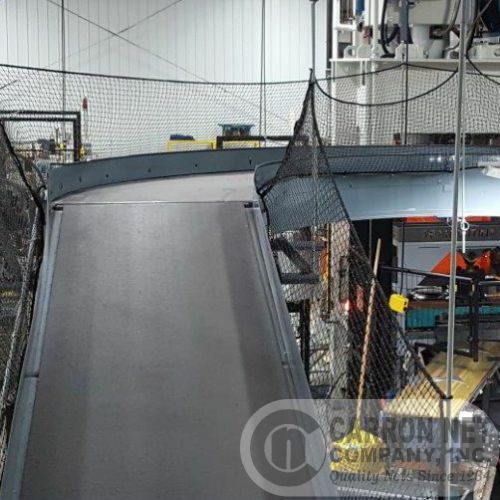 Whether your conveyor system is overhead or located at ground level, you'll find Conveyor Catch Nets from Carron to be the simple solution to protecting your employees and saving products from damage and loss. 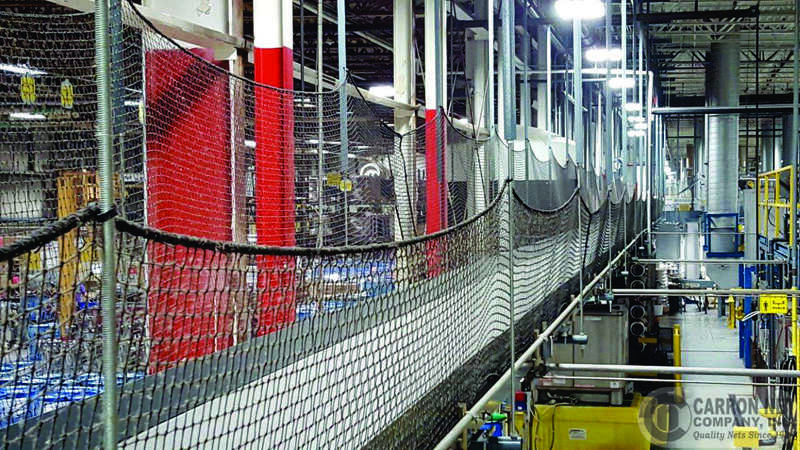 Cost-efficient and easy to install, Conveyor Nets from Carron help you meet safety requirements under OSHA 1926.555. 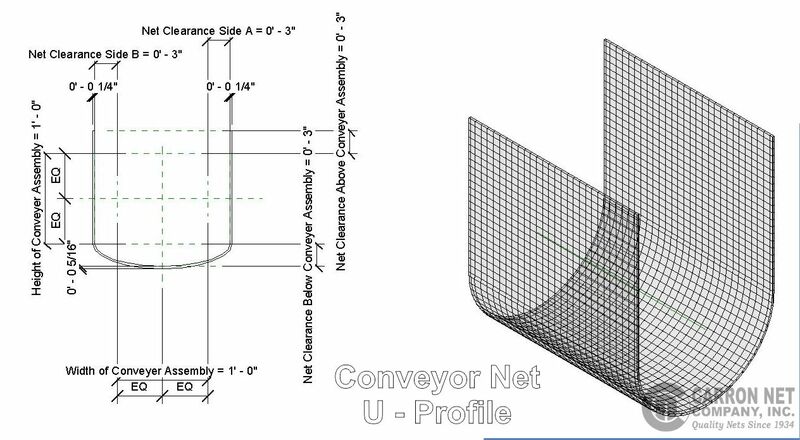 Below are common installation methods for conveyor catch netting. 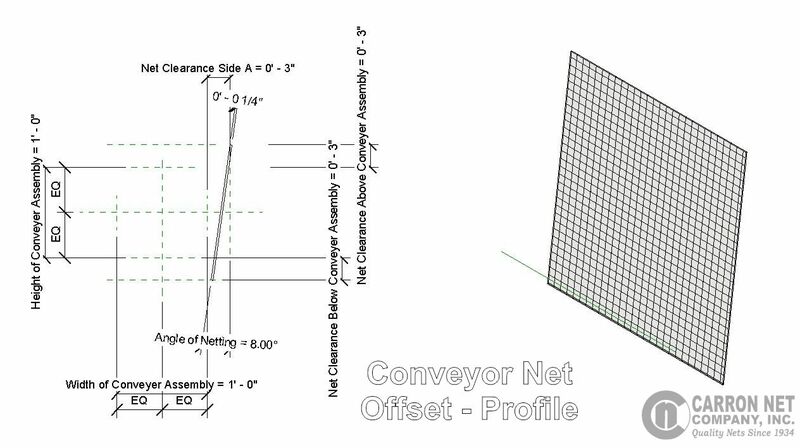 For more information, drawings, specifications, and 3D BIM objects, see our download center through the links at right. 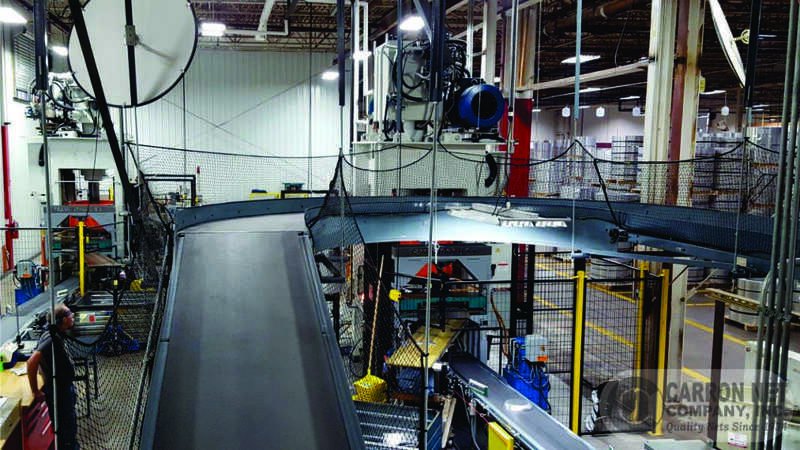 INSTALLATION: Installation using our stock #76027 Quick Loops provides quick secure installation while allowing easy access to retrieve fallen product and maintain equipment. 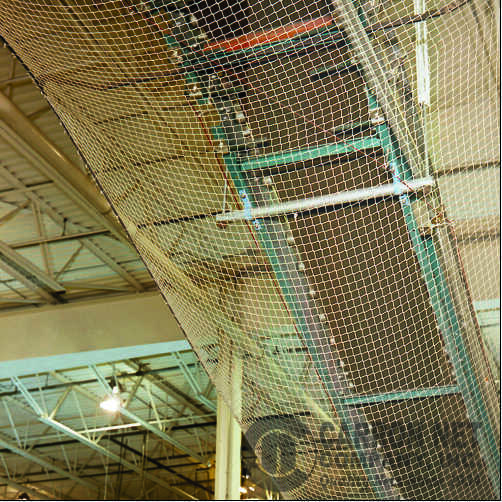 ALL CARRON CONVEYOR CATCH NETS ARE MADE TO ORDER. Choose your netting style using our Netting Selector Guide. 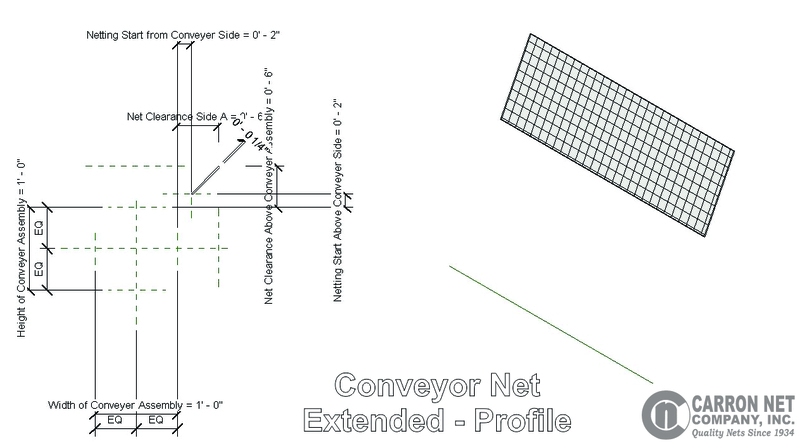 Installation hardware is also available.